Founded in 1953, Midwest Precision (formerly Midwest Screw Products), specializes in close tolerance CNC machining of all types of Stainless Steels, Nickel Alloys, Titanium, Aluminum, Steel and Brass in complex configurations. We operate from a large climate controlled facility located in Eastlake OH near Cleveland. This location is unique with its extensive local supply base of certified process providers including NADCAP qualified sources. This enables us to efficiently provide our customers with turnkey service from raw material to completely finished parts with full traceability. While Midwest Precision qualifies as a "Small Business", we are large enough, highly experienced and fully-qualified to successfully complete highly challenging complex projects in the Aerospace, Defense, Energy and Industrial markets including Engineering Assistance, full Assembly and complete Program Management. Midwest Precision is very customer focused striving to earn your trust and build lasting relationships. We understand the complex industry regulations and requirements. We work close with our partners to solve problems and get the job done right. As an AS9100D with ISO 9001:2015 standards manufacturer, Midwest Precision is ITAR registered and DFARS compliant. 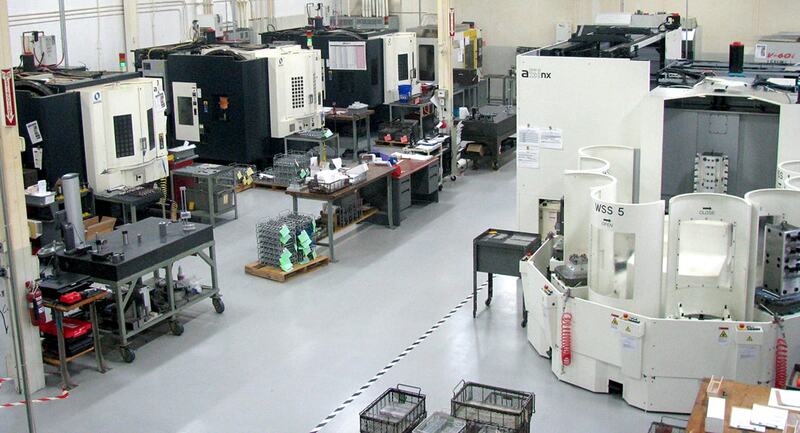 Midwest Precision is committed to being a world-class manufacturer of precision machined components and assemblies for the Aerospace, Defense, Energy, Fluid Power, and Industrial markets. Our culture emphasizes continuous improvement and the relentless pursuit of lean methods throughout all our business operations. Whether the challenge is complicated shapes, tight tolerances, hard-to-machine materials, short lead-times, complete program management or all of the above, Midwest Precision is an ideal choice for your precision machined components and assembly projects. Midwest Precision partners with our customers to reduce inventory costs and increase cash flow by entering into long-term agreements and utilizing inventory management programs such as Kanban and consignment. Our excellent quality rating allows many customers to accept our products as ship-to-stock, which eliminates the need for receiving inspection. Midwest Precision prides itself on a 100% overall quality rating with one major customer covering over 25,000 parts shipped over the past 12 months. A large fortune 100 company was having problems with their existing supplier providing acceptable parts and on-time delivery for critical components. They visited us along with 4 potential suppliers and they chose Midwest Precision because of our ability to produce complex parts and the fact that we had a Program Manager that would organize the project and be their main contact. Midwest has now provided quality parts with on time delivery to them for the past two years and we are their single source for these critical components. An existing fortune 100 customer had a ramp up in demand for a critical component and their usage was expected to triple. They collaborated with us and we invested in two new machines that now produce enough parts to meet their increased demand. Our focus is to partner with our customers and help to solve their problems.